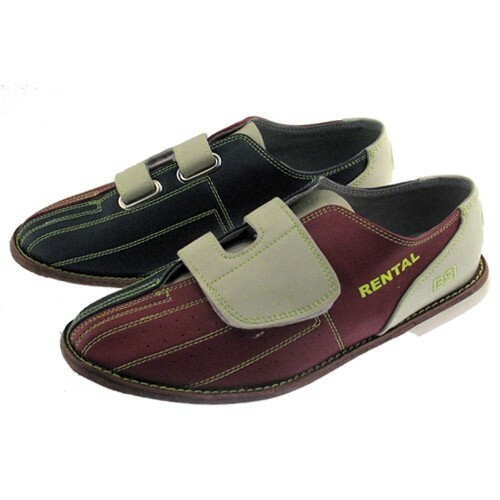 Check out these BSI Ladies bowling shoes that feature sturdy velcro, making it faster and easier to change out of your shoes and get to bowling on the lanes. These shoes also feature glow stitching, leather lining, and the long-lasting hook-and-loop closure. I like velcro so these shoes were good for the price. I go bowling about once or twice a week and they serve me well. Really comfortable from the moment I tried them on. A great shoe for the price. Hello! Unfortunately we cannot make that determination, but we do offer a True Fit Guarantee for $5.99 that will provide a shipping label in the box if you need to exchange, and an immediate shipment of the size requested upon completion of the exchange form. if i do not return the product (shoes) do i loose the $5.99? Hi. The True Fit Guarantee is a one time, non refundable fee. Hello. Unfortunately, we are unable to remove the word from the shoes. Is there a size on the back of the shoe? There will be a size on the back of the shoe. Do any of the shoes come in 9 Narrow? Unfortunately, all of the womens shoes will be a B width. We do not carry narrow width shoes. Due to the time it takes to produce the BSI Hook-and-Loop Ladies Cosmic Rental Shoe ball it will ship in immediately. We cannot ship this ball outside the United States.